Simon Lam is one of those poker players that had a lot of victories throughout their careers but never managed to win a single major title. In fact, Lam has earned up to $1.5 million when it comes to the cashes from live tournaments. However, it lacked one thing which was claimed in WPT Gardens on Thursday – Lam won WPT Gardens. It all happened in Gardens Casino in Los Angeles and Lam won the event called WPT Gardens $5,000 Main Event. The first prize was the amazing $565,055 and it is one of the Borgata events that did not slip through his hands as it happened several times before. It was not easy for Lam to win it, especially because he had to face the two legends in the three-handed battle – Jake Schindler and Men “The Master” Nguyen. This is a rather new event and it this was its first year. Nevertheless, there was a significant number of competitors at the beginning – 584 of them. Furthermore, there were also some famous poker players who entered the tournament but did not manage to produce significant results – Jon Turner, Ari Engel, Marvin Rettenmaier, Alex Lynskey, Benny Glaser, and David Pham. The tournament itself was really interesting as some foolish and rather unexpected behavior was manifested by Men Nguyen who really decided to flaunt the rules on the day 3 and risked being excluded from the event. When it comes to the final day action, the most interesting things actually happened when the three players remained playing. Nguyen, Schindler, and Lam all had between 34 and 47 big blinds and the game started off as really boring due to the fact that 40 hands needed to pass in order for something big to happen. Finally, in one hand Nguyen showed 10 and 7 of Diamonds and Lam won that hand with Ace-King and another King which was on the flop. During this hand, Lam sent Nguyen home and managed to gain a 4-1 chip lead while entering the heads-up with Schindler. 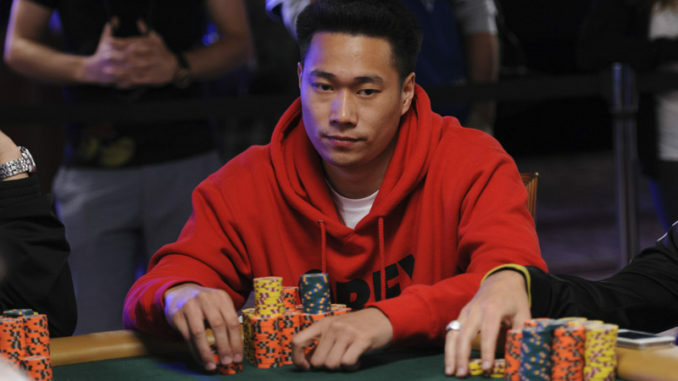 This also meant that Nguyen once again failed to win a WPT crown which is one of the rare types of title that he never won, despite winning various sorts of things and having more than $11 million in cashes. When it came to the heads-up play, there was not much effort from Schindler’s side as he immediately faced his jack-eight against Lam’s jack-nine. There were three cards on the flop – Jack, seven, and two. The turn and the river also turned out to be some insignificant low cards, so it turned out that Lam only had the better hand. This also meant that Schindler also failed to gain his first WPT title despite the fact that the won a lot of things by now and a total of $19 million in cashes.